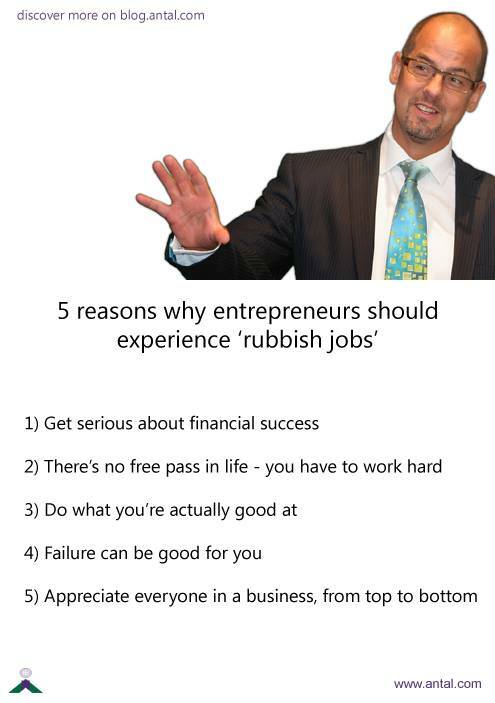 Before founding what is now the global recruitment firm, Antal International, Tony Goodwin experienced a variety of menial, tedious and laborious jobs all of which taught him a lot about life and what it takes to be a success. Early on in my career I found that it wasn’t just the unpleasant work I hated, it was the lack of financial reward at the end of it. I was raised in a one parent household and never knew what it was like to have a lot of money as a child. Doing a series of low-paid jobs helped to drive me and realise that my motivation from the start was to be financially successful. I quickly grasped that it was down to me and me alone to be a success. No one was helping me and no one was handing out a free ticket to the first class lounge. I realised that if you want to be a successful entrepreneur you have to graft and take risks, something that I did taking Antal to the emerging markets first in Eastern Europe and later in India, China and Latin America. I’ve done enough jobs to know there are a lot of things I’m not very good at. But it took me these experiences to realise what I was good at. Working at Selfridges selling Jabba the Hutt dolls, for example, taught me the value of engagement. It dawned on me that if you listened to people and built a story around what you were doing, people would listen back and then they would buy. It’s something that’s served me well, whether I’m selling myself, a service or a business. I failed enough times in my youth to know this. And every time I learned a little bit more about what motivated me. Not being able to work as a labourer or a DJ only motivated me even more to make a success out of myself and every time I failed I’d dust myself off and try again. This doesn’t only teach you resilience but also what works and what doesn’t. There’s no better way to find this out than trial and error. Everyone plays a vital role within a company. I learned this because I’ve had experience of being a tiny cog in a big machine and also of running my own organisation. Every single person should be valued for the work they do regardless of its nature.